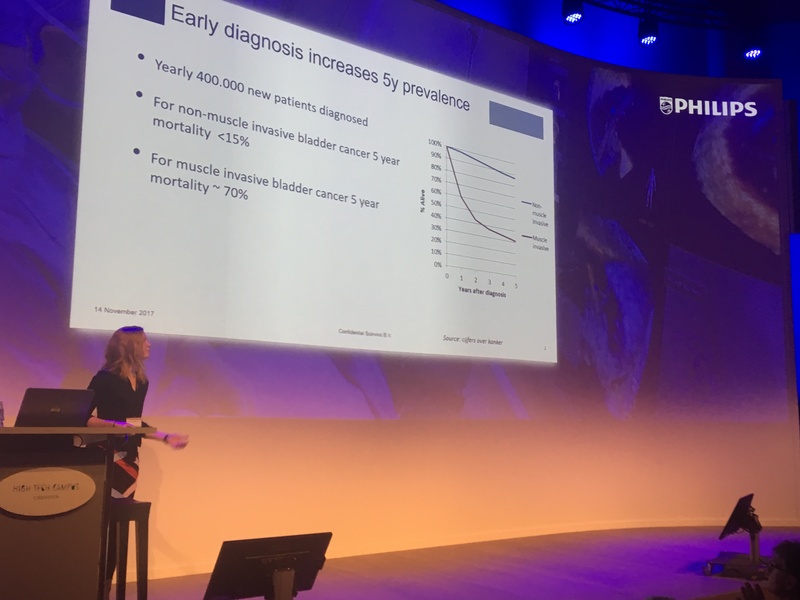 Maaike presented the Scinvivo catheter at the Design of Medical devices conference at the High Tech Campus in Eindhoven. The topic of the session was “the next generation of smart catheters”, next to our OCT-catheter, also ultrasound catheters, a photo-acoustic imaging catheter, and a sideway looking OCT-catheter were presented. 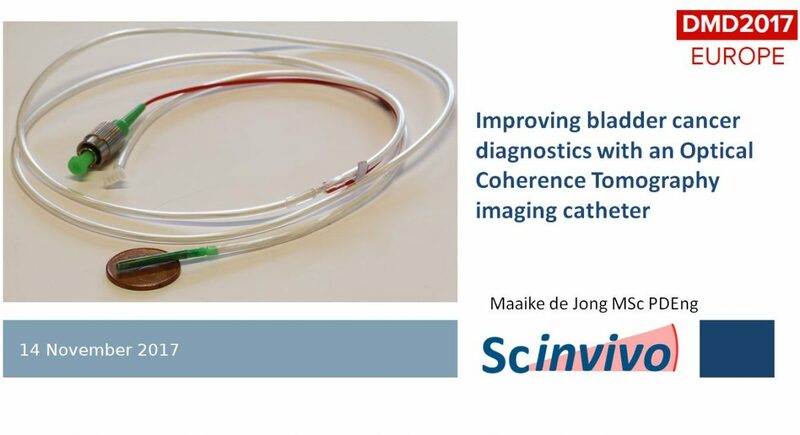 Scinvivo got positive response on the OCT-catheter, and made connections for possible future collaborations. The remainder of the day was focussed on Innovations in micro fabricated devices, and the development of MEMS for ultrasound catheters. Scinvivo concluded the day with a visit to the micro-fabrication cleanroom and catheter assembly line of Philips at the High Tech Campus. Scinvivo looks back on an inspiring day, where we made useful new connections and had a great opportunity to present Scinvivo to an interested audience.